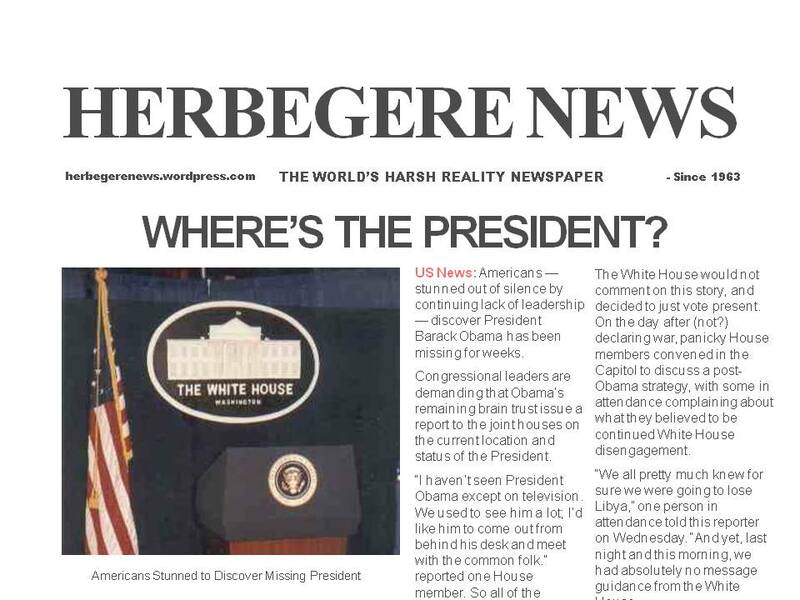 US News: Americans — stunned out of silence by continuing lack of leadership — discover President Barack Obama has been missing for weeks. Congressional leaders are demanding that Obama’s remaining brain trust issue a report to the joint houses on the current location and status of the President. The White House would not comment on this story, and decided to just vote present. On the day after (not?) declaring war, panicky House members convened in the Capitol to discuss a post-Obama strategy, with some in attendance complaining about what they believed to be continued White House disengagement. Equal Rights Is More Important Than Science? When is a shirt not just a shirt?